Calling all bloggers who love to brunch! Fed up of your typical avocado on toast and poached egg or simply looking for something new to try? You’ve obviously come to the right place. Last month I attended my very first Reggae Brunch event, sadly another event without James but of course with my trustee fellow blogger, Ashlee Moyo. I hear you ask, what does the Reggae Brunch include exactly? Unlimited rum punch cocktails for the first hour. Yes, a whole hour of rum punch. I know what you’re thinking, what’s the catch? There isn’t one. Fully loaded with the perfect amount of rum, island vibes and for all your instagramable needs. 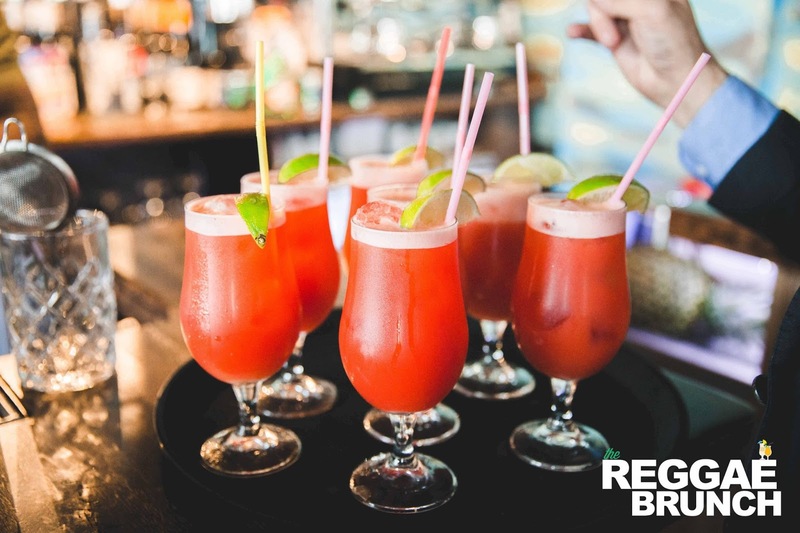 With resident DJ’s spinning all your favourite Reggae, Soca, Calypso, Reggaeton, Bashment, Afro, Soul, Ska & Commercial hits, you’ve got yourself a day party! With the host keeping you fully entertained, you couldn’t imagine how it could get any better. Oh, but it does and before you know it, your food is on it’s way. Seated or dancing at your own convenience, you are served with a 3 course meal of traditional Caribbean delights, which include: jerk chicken, rice ‘n’ peas, coleslaw, dumpling & mixed salad, they even got a vegetarian option: sweet potato and pumpkin fritter, vegetable and halloumi skewers. With just enough time between courses to settle your stomaches or to get a few steps on the dance floor. 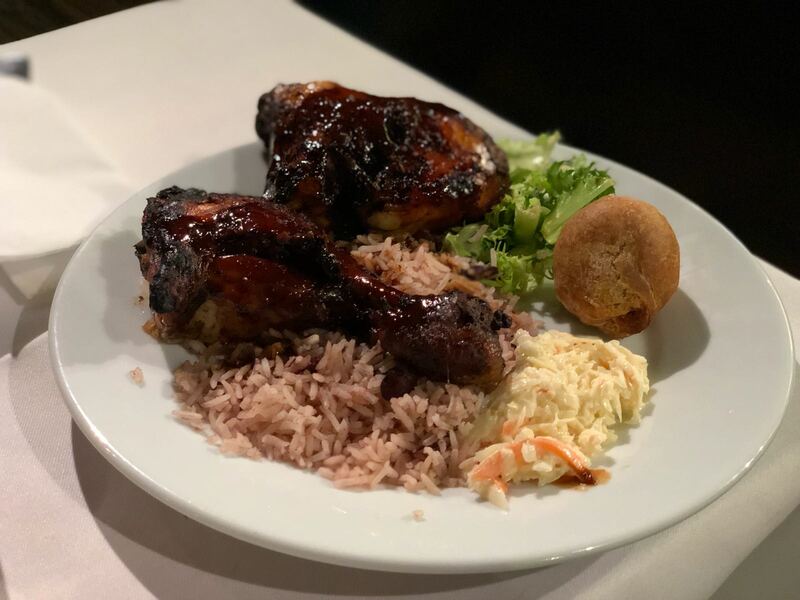 As you can see, they did not shy away from the amount of food you receive; a mountain of rice ‘n’ peas, two pieces of jerk chicken and sides, all complimenting each other and bursting with flavour, and to top it off, a taste of rum cake paired with cream. So what now? You’ve finished your drinks, you’re stuffed with food, what more could there be? The party doesn’t stop until the music stops: with reggae-oke and beating dance records, you can sing and dance ’til your hearts content. Good food, good vibes and with the right company, what else could you ask for?To keep you on your toes for that extra element of surprise, all events are sold as a secret location, only ticket holders find our the location within a week of your chosen date, but don’t worry, all locations are within Zone 1 & 2 on the tube map. So whether you’re looking for something new, something a little different, an excuse to party during the day or simply planing a celebration, I would highly recommend this event. 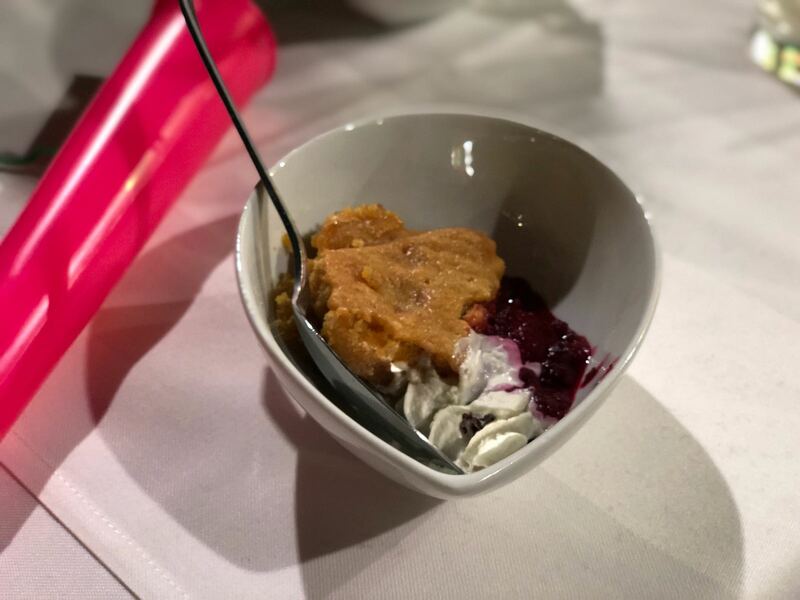 I’ve enjoyed this experience so much I have already rounded up my family and closest friends to celebrate my birthday with me at one of their next event dates in March. 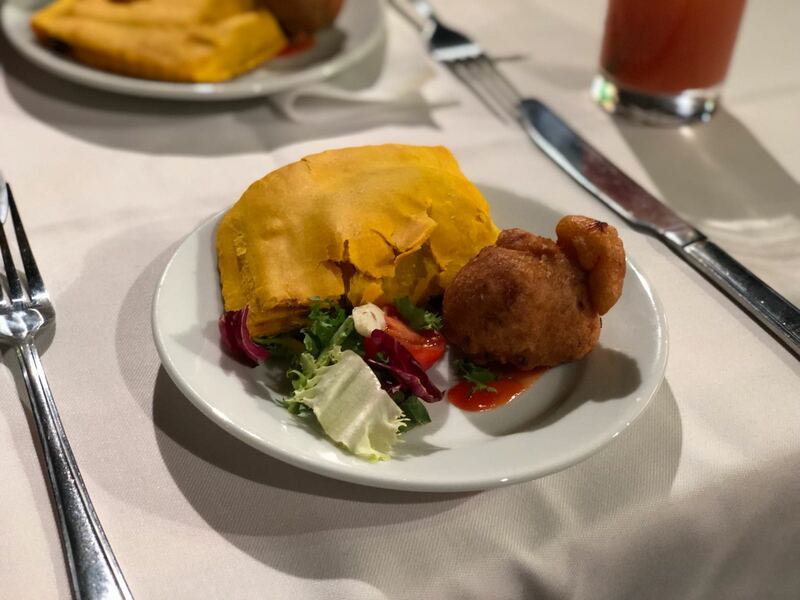 Reggae Brunch is running every Saturday throughout February and March, with more months to follow.So grab your tickets today. For all our loyal readers, we have a special 10% OFF code for you. Simply quote ‘ FOODANDBAKER ‘ at checkout. Don’t forget to follow their socials for upcoming dates, promo codes and discounts. Disclaimer: We were given complimentary tickets to the Reggae Brunch event. However as always, all pictures (unless stated) and views are our own. Gosh it looks like a fab place to try. The jerk chicken looks soo delicious, you are making me hungry. This place looks gorgeous! The Rum cake especially looks tasty and something I'd definitely like to try! Omgoodness posts like this make me question why I left London. Haha! This place looks right up my street. Thank you for sharing! This seems like a lovely restaurant if I visit London soon this may be somewhere to visit. The cocktails look fantastic! This looks soo dam good ! Making me really hungry. This place sounds great, sounds like it has a lovely atmosphere especially with all the music and dancing. Glad to hear you had a good time. Oh my god, those cocktails look so GOOD! I'm a sucker for a nice-looking drink and those have made me feel so thirsty (I'd just have them without the alcohol if that's a thing)! The food all looks incredible too.